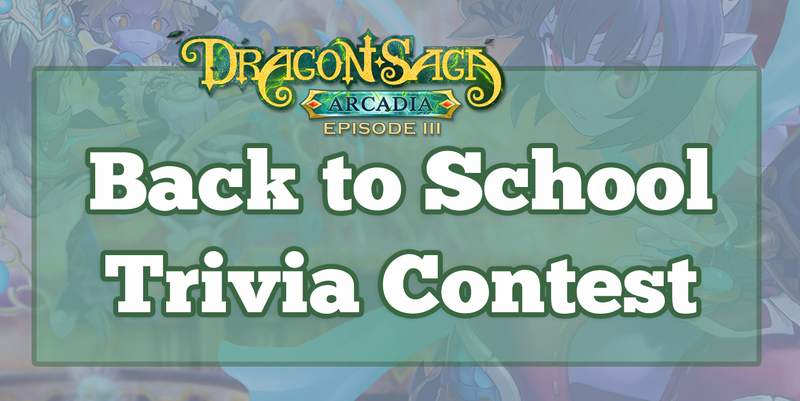 We are hosting a special Back to School Trivia Contest on the Dragon Saga Facebook page! From 9/14/2018 - 9/22/2018, a new trivia question will be posted every day at 1200 Server Time! Answer all of the trivia questions to earn the Scholar Title at the end of the event! Check out the Dragon Saga Facebook Page now for the first Triva Question! The Scholar Title reward will be distributed to our winners during next weeks maintenance!